INFORMAL – From the House of Imperfecto, it is third Restaurant in the row, which is owned and operated by Bel Cibo Hospitality and mentored by Sharad and Naresh Madan Brothers. Many were seen checking out the quirky wooden detailing at the venue, and of course, taking umpteen pictures. Both Informal-from the House of Imperfecto and Imperfecto has a big fan following because people especially youngsters really like thier quirky interiors and Mediterranean cuisine. I was invited to taste and review for a one year old Lounge and bar “Informal @ Janpath”. 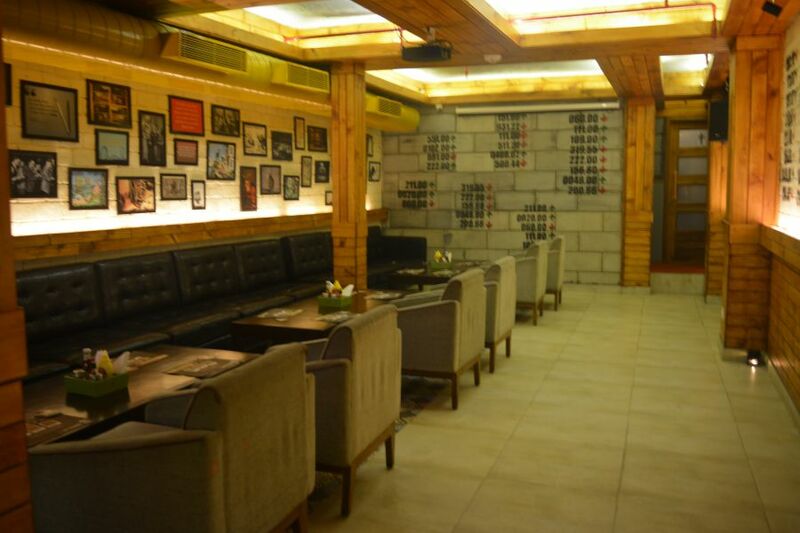 Located at Tolstoy Road, Adjacent located with Hybrid, and rear side of Shiv Sagar Restaurant. I have found Informal is spread over 6, 000 sq. ft amenities and expanding into three floors with dark and quirky ambience at its ground floor whereas the upstairs has beautiful terrace with party room and third level with big terrace and a party room with an aim to offer its guest an excellent yet ingenious nightlife experience. This bar has only objective i.e. to make you enter a world full of zeal and excitement. It seals to bring a high level of creativity to Central Delhi’s Nightlife with an array of healthy and varieties of food options. Sprawled across three floors with an elevated DJ console, the place boasts of a cutting-edge sound system and a calendar full of live music and DJ-led club nights. I have tried its couple of drinks i.e. Virgin Mojito and Virgin Mary , both were good as it should be balanced. Dahi ke Sholay:– Deep Fried yoghurt dumpling , I had started with perfect starter i.e. Dahi Ke Sholay, perfectly cooked balanced with Hung curd with spice stuffed in soft shells. Major part was it presentation. Chili Paneer: it was little modified form this melted in the mouth , flavored with all ethnic Chinese Schezuan sauce. Spaghetti and Dal Makhani combo: it is kind of experiment with Traditional Daal makhni topped with noodles. I liked the experimental job and it didn’t disappoint me. The Basa fish fingers-on sticks: Perfect Starter, marinade fish finger (fish sticks) dipped coated with bread crumbs and deep fried, one of healthiest starter on the table. Chilli Chicken Marinated with exotic herbs– A delightful mix of grilled chicken with chillies, exotic herbs and spices. Service: Service staffs were flying, ultra attentive and courteous had no issue with services quality. They were perfectly dressed up, calm and pleasing. We sealed our foodie meet-up with Dessert i.e. Brownie with Ice-cream. It was topped with scoopful of vanilla over hot freshly prepared Brownie. My Rating is 3.5 and Extra .5 for Presentation and Services overall rating is 4/5.